The National Cancer Database recently evaluated newly diagnosed non-metastatic pleural mesothelioma patients. During the study, the database analyzed the overall survival of patients by cancer facility volume. The investigation also took into perspective the well-being of patients after surgery. Evaluated pleural mesothelioma patients had either undergone an extrapleural pneumonectomy (EPP) or a pleurectomy/decortication (P/D). 1,307 patients were treated. 621 patients were treated in lower-volume facilities, and 686 patients were treated in high-volume facilities (HVFs). 75% of P/D operations and 25% of EPP procedures occurred at HVFs. Whereas, 84% of P/D operations and 16% of EPP procedures happened at lower-volume facilities. Receiving a mesothelioma diagnosis alters the lives of families across the globe. Every year in the United States 2,000 to 3,000 cases of this rare cancer occurs. Approximately 75% of these cases are pleural mesothelioma. Research suggests that patients treated at high-volume facilities have a better outcome. At high-volume centers, physicians of all specialties weigh in on creating a patient’s treatment plan. The medical experts at high-volume treatment centers not only see more mesothelioma patients than other facilities, but they also have more experience in performing complex surgeries like the P/D and EPP. The following 3 centers are known for being high-volume cancer centers specializing in successfully performing P/D and EPP to help improve a patient’s prognosis. 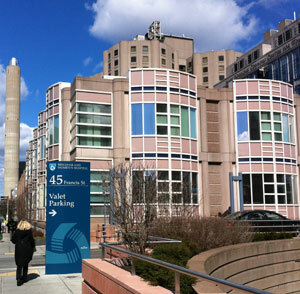 Brigham and Women’s Hospital is home to the International Mesothelioma Program (IMP). IMP is composed of departments from the Dana-Farber Cancer Institute and Harvard School of Public Health. The extrapleural pneumonectomy procedure was created and has been perfected by Brigham and Women’s mesothelioma surgeons. 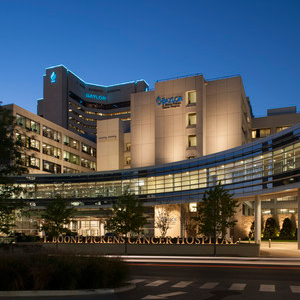 In addition to performing EPP surgeries, this hospital conducts a number of P/D procedures. Brigham and Women’s also provides hope to patients through an abundance of clinical trial opportunities. 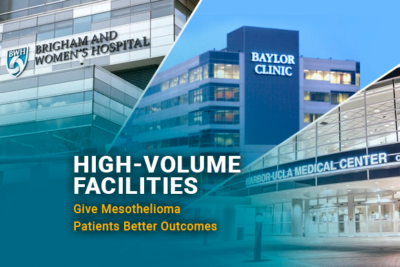 Every day the Brigham & Women’s Hospital makes great strides towards improving treatment options not only to pleural mesothelioma patients but to peritoneal mesothelioma patients as well. The facility is a place of residence to experts Dr. Bueno, Dr. Lebenthal, and Dr. DaSilva. 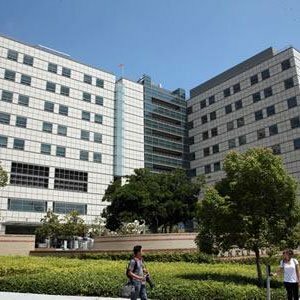 Dr. Robert Cameron is changing the lives of pleural mesothelioma patients at the University of California Los Angeles Medical Center. He is widely recognized for developing the pleurectomy with decortication surgery. Treatment at UCLA is focused on techniques that target only the patient’s tumor(s). The facility has perfected methods that keep a patient’s lungs, pericardium and diaphragm healthy. Aside from surgery, specialists at UCLA are dedicated to researching and improving treatment options for mesothelioma using targeted and immunotherapies. The medical center has an area of expertise in treating all mesothelioma cells types. Mesothelioma specialist Dr. David Sugarbaker leads the Mesothelioma Treatment Center (MTC) at Baylor. He is known for creating the EPP for pleural mesothelioma. Patients at MTC experience an aggressive treatment and recovery plan. The crew at Baylor believe that multimodal treatment plans prevent a patient’s cancer from returning. Individuals may experience an EPP or the P/D, depending on the extent of their cancer. Dr. Sugarbaker and his team also favor quick and safe recovery for their patients. In many circumstances, a patient will be walking not too long after they’ve had surgery. 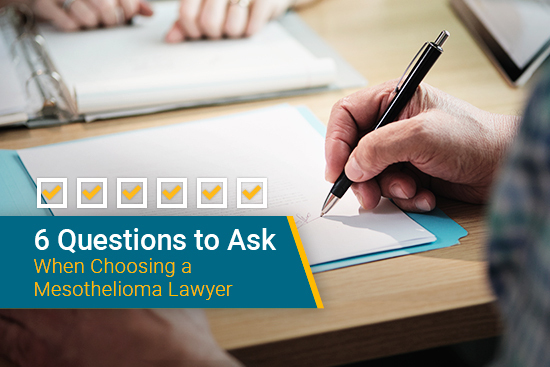 Since very few doctors know how to treat this rare cancer, it is important that an individual finds a mesothelioma specialist. An expert not only has an understanding of the cancer, but they have experience in treating it. In this above study, researchers found that patients who received care at high-volume facilities experienced less complications. It may be necessary to travel to a cancer center to receive treatment. Our Doctor Match Program will provide you with resources for decreased lodging and other travel expenses. It is important that patients know that they are not alone and that many survivors are rewriting statistics. 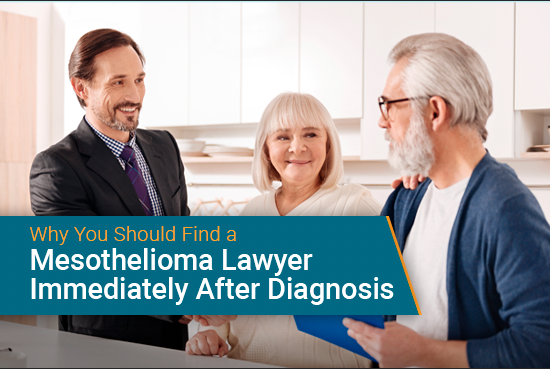 At Mesothelioma Guide we can help you get connected to top specialists and cancer centers through our free Doctor Match Program. 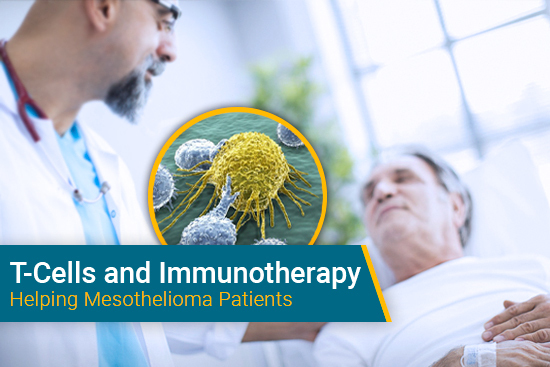 For more information about high-volume facilities, specialists, and financial assistance, please contact Mesothelioma Guide’s patient advocate Jenna Campagna. You can reach her by calling 888-385-2024 extension 102 or by emailing jenna@mesotheliomaguide.com. Facility volume and postoperative outcomes for malignant pleural mesothelioma: A National Cancer Data Base analysis. Lung Cancer Journal. Retrieved from: https://www.lungcancerjournal.info/article/S0169-5002(18)30308-8/abstract. Accessed: 06/01/2018. Comprehensive Mesothelioma Program. UCLA Health. Retrieved from: http://surgery.ucla.edu/comprehensive-mesothelioma-program. Accessed: 06/06/2018.